Here's a link to a great historical fiction giveaway! If you're looking for some wonderful historical fiction, here's a link to a great giveaway at Passages to the Past. Passages to the Past: The India Edghill Biblical Women Collection GIVEAW...: " Hey everyone! Have I got a giveaway for you! The very generous India Edghill has graciously allocated 2 hardcover sets of her books Deli..."
I had so much fun last week participating in the book blogger hop hosted by Jen at Crazy for Books that I'm doing it all over again. I found some great new blogs and added new books to my TBR pile. What is the one bookish thing you would love to have, no matter the cost? My answer: I'd love to have an authentic medieval illuminated manuscript. Here is a book that is completely out of the norm for me—Hazard by Gardiner Harris. I read it for two reasons: 1) It is written by an author with a connection to Kentucky (lived in Hazard for four years as a reporter for the Louisville Courier-Journal), and 2) It opens with a coal mining accident. Together, that seemed compelling enough to tempt me into the realm of a contemporary mystery. MSHA Inspector Will Murphy is sent in to investigate a "routine" inundation in a mine that, coincidentally or not so coincidentally, is owned by his own family’s corporation, now run by his brother Paul. Will has been ousted from the business ever since the death of his younger brother in an accident. That accident has always been blamed on Will. And, since then, Will has let everything in his life run on a downhill course. He drinks heavily and his marriage is a shambles. Will doesn’t take his job as an investigator very seriously, but it doesn’t seem as though anyone at MSHA expects him to. The place is rife with corruption. Because inundations, even those with resulting fatalities, are recognized as unfortunate, unavoidable rare occurrences, no one thinks the investigation will amount to much. But Will starts to notice little things that are amiss. Rather than dismiss them, he digs in and begins to investigate for real. This is family drama and detective story rolled into one. The detective was not "hard-boiled" but worn out. And it was interesting to see him reawaken to take an interest in life as he began fighting his way through the maze of clues. Although I anticipated the bad guy before the detective did, it was only shortly before, and it didn’t detract from the excitement of the ending. The author also makes a point of demonstrating the corruption in the mining industry and the environmental devastation that follows. This is all in the context of the storyline, so the tension of the plotting is not interrupted for the message. Moreover, it’s an important message. So the book delivers both a well-plotted fast-paced mystery, and something a little bit deeper to think about after turning the final page. I love epistolary novels. Letter writing, good letter writing, is a true art, one that I admittedly never mastered. It seems a rather archaic talent at this point, since so few people have the time or inclination to write letters anymore. Maybe the epistolary novel will disappear as people forget what real letters looked like, which would be a shame. (Although new forms are evolving all the time. Tweeted novels, etc.) They do still exist, of course. Historical fiction is the most obvious place to find them. The wonderful The Guernsey Literary and Potato Peel Society is as fine an example as you could hope to find. And, thankfully, if you want to settle back and read someone else’s delightful story in letters, you can always go back to a golden oldie. One of my favorites, from way back, is Daddy-Long-Legs by Jean Webster. I can’t remember how old I was when I first read this book but I saw it referenced in the Mother Daughter Book Club series by Heather Vogel Frederick and fond memories came flooding back. I wondered if the book was something that would stand the test of time, or if a rereading would disillusion me. I’m pleased to report, the book (written in 1912!) retains the power to charm. Jerusha (or sometimes Judy) Abbott is a promising orphan who was given a scholarship to a girls’ college by an anonymous benefactor with the simple requirement that she write him letters to update him on her progress. I should say almost anonymous. Jerusha caught a quick glimpse of the man and knows him to be very tall. Being something of a free-spirit, rather than using a stuffy To- Whom-It-May-Concern, she addresses her letters to Dear Daddy-Long-Legs. What follows is a delightful coming-of-age tale of a guileless, generous, honest young girl who is intellectually curious, friendly, genuinely grateful for the opportunity she has been given, and utterly determined to be a credit to her benefactor and ultimately repay him. She has a few moments of self-pity but never wallows in it, and it is lovely to see her express her lows with as much whole-heartedness as she does her highs. As we follow her years at school, its impossible not to grow as enchanted with her as her benefactor does. Can the reader see the twist at the end coming before Judy does? Well, yes. But rather than making her seem dumb, Judy’s naivete is somehow quaint. Isn’t the book a little hokey? Yes, a little. But that’s part of its charm. Aren’t we all pretty sophisticated now? A bit jaded and cynical? Forget all that. Every once in a while, it’s a simple pleasure to read a well-written book that shows a girl facing the world with wide-eyed wonder and ending up joyfully surprised. While browsing the YA section of our library recently, I came across The Little Blog on the Prairie by Cathleen Davitt Bell. The premise sounded so cute, I couldn’t resist. Thirteen-year-old Genevieve Walsh anticipated a summer of soccer with her friends until she learned her mother had signed the family up for Camp Frontier– a living history pioneer camp. Gen, her younger brother, and her parents were going back to the 1890's for the summer. No modern possessions allowed. They had to live in a one-room house, feed themselves by farming, and earn points by improving the land in some way over the course of their stay. To a modern teen, this is no vacation but a sadistic punishment inflicted by her mother. Gen finds a way around the rules, inadvertently launching a blog about her experiences that becomes a raging success. So Gen’s summer is "saved," but what about everyone else’s? The idea for the book appealed to me on a couple of levels. I’ve always loved the Little House books. It was a special treat to read the whole series with my daughter and then to discover the spin-off novels about the previous generations. We managed to chase down all the original unabridged versions which have, unfortunately, gone out of print. They’re so much richer than the watered down versions...but that’s not the point of this post so I’ll back away from that tangent. Suffice to say a modern book harkening back to prairie days caught my eye. Like Gen’s mom, I harbor a fantasy/desire to live like a pioneer for a finite period of time, just to prove to myself that I can. Except unlike Gen’s mom, deep down I know I can’t! Back to The Little Blog on the Prairie: Gen is a normal kid. She can be uncooperative and bratty, but she’s thirteen. At that age, the little injustices inflicted by one’s parents or siblings naturally lead to a certain passive-aggressiveness. She doesn’t want to be on this bizarre summer family vacation, she wants to be at soccer camp with her friends. And while I have a certain sympathy for the mom, I imagine a tween/teen reader would be whole-heartedly on Gen’s side. What on earth has her mom done to her? It isn’t just Gen. Dad is miserable too. So if Gen manages to bend the rules (no electronic gadgets) in order to keep in contact with her friends on the outside, and then they post her complaints as a blog– well, it’s not like she’s done anything criminal. If her complaints are amusing, sometimes snarky, particularly regarding her archenemy, Nora, the daughter of the camp owners, well, it doesn’t mean Gen is a bad person. Right? Nora is mean and deserves it. But Gen learns that the consequences of her actions can be enormous. While the reader can probably see where this will all head in terms of character growth and eventual plot outcome, there are twists and turns and surprises that keep it all very readable and entertaining. It’s nice to see the protagonist develop true insight into her own behavior as well as empathy for others as she matures. It’s interesting to see how the family reacts when its very foundation is tested. And, it’s fun to watch everyone struggling with life in the 1800s. This is good clean family drama. Good for tweens and younger teens. And if you’ve ever wanted to go back in time and live Laura’s life– Little Blog on the Prairie may make you reconsider. I am a die-hard Cecelia Holland fan. 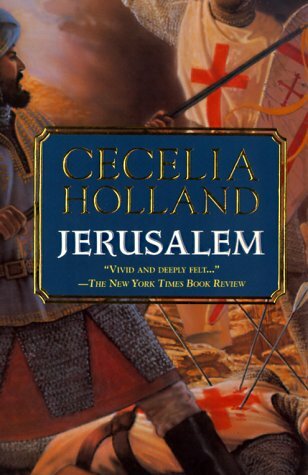 Great Maria is one of my favorite books (see my previous review) with Jerusalem (a story chronicling the events leading up to the battle of Hattin) ranking right up there with it. I’ve always admired Holland’s ability to breathe life into her characters and plunk me right into whatever time period she’s writing about. She can create extraordinary dramatic tension with the subtlest emotional interactions, never veering into melodrama. In one powerful opening scene in Jerusalem, the rough knight Rannulf, a brutal Templar who joined the order to atone for horrific sins, emerges from battle to find one of his younger comrades dying. The boy is frightened. Rannulf can do nothing for him and his mind is still dealing with the battle and its aftermath. They exchange a minimum of words. Rannulf simply holds the boy’s hand and settles down to wait with him. It’s no cliff-hanger, but it was one of the most moving scenes I’ve ever read. Holland drew me along and left me stunned. Which brings me to Holland’s new release, The Secret Eleanor. I anticipated this release the way a second-grader waits for Christmas. One of my favorite historical novelists was writing a book about not just one of my favorite time periods but one of my favorite historical characters. I pre-ordered the book. When it arrived, I had to force myself to finish what I was reading at the time before starting. And so...maybe I was setting myself up to be just a wee bit disappointed. Don’t get me wrong. This is a very enjoyable read. Holland delivers with her trademark ability to situate the reader in a different time and place. In this case, the time is 1151, when Eleanor was the dissatisfied Queen of France married to the ineffectual Louis VII. When Henry of Anjou came with his father to France to argue with Louis, plans were supposedly hatched between Eleanor and Henry. What came to pass shortly afterward, Eleanor’s annulment and rapid marriage to Henry, is history. What happens in The Secret Eleanor is historical fiction. Seen primarily through the eyes of Eleanor’s sister Petronilla, it is an entertaining "what if?" type of tale. Eleanor is strong but vulnerable. Petronilla is loyal, but understands that too much is being asked of her. And when the line is crossed, how much is she realistically supposed to yield to the domineering sister she loves? Henry, absent for much of the story, is a necessary prop but a minor character. I read the book in a couple of sittings and was genuinely curious to see how Petronilla would resolve her dilemma. I did enjoy the book and recommend it for historical romance lovers. So where is my hesitation coming from? I think it’s because I was expecting a story about Eleanor of Aquitaine. Fictionalized, of course, but still, I had been looking forward to a book about the woman I’ve studied as a historical figure. Instead, it wasn’t real. It was "imagine this happened; there’s nothing to say that it could not have happened." And as much as I know that historical fiction is supposed to do this, to weave a web of "what-ifs" around historical events or people, sometimes it just jars too much. Eleanor’s life is so rich and larger than life to begin with, it hardly seems necessary to construct so elaborate a what-if to make her life...I don’t know...more interesting? If ever there was a life that didn’t need to be embellished with a "what-if" it would be Eleanor’s. So in the end, I don’t really think of this as Eleanor’s story. I think of this as a wonderful historical novel about Petronilla, a fictional sister to a fictional queen, married to an ineffectual king. The queen escapes from her loveless marriage to find passionate love with a younger, stronger nobleman by means of an elaborate ruse. But she can not do it without the help of her loyal sister. Must she destroy that sister to achieve her ends? Thanks Jennifer! What a great place to meet other bloggers. My favorite place to read is the big comfy couch heaped with pillows in front of the picture window. Or on a long car ride on vacation. It’s just not as much fun reading nonfiction as it is reading novels. And since I read to get-away-from-it-all, it’s not often that I pick up a book about medical topics to read for fun. And yet, this past spring/summer, it seemed everywhere I looked I saw The Immortal Life of Henrietta Lacks by Rebecca Skloot. The story sounded so compelling and the reviews were so uniformly glowing, that it was impossible for me to ignore the book. Rebecca Skloot is a science journalist who, for a long time, had been obsessed with the story behind He-La cells, the immortal line of human cervical cancer cells that revolutionalized biological and medical research. Who was "He....La...."? 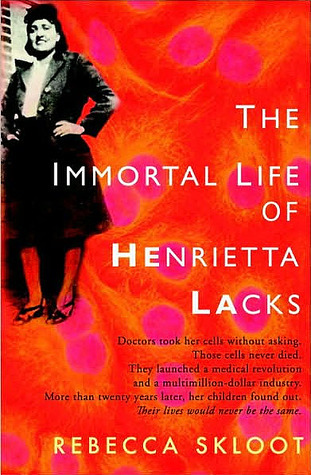 The Immortal Life of Henrietta Lacks tells the story not only of the woman, but of the researchers who took her cells seeing them only as biological material. It tells the story of an industry that has grown up around such "biological material" and the ethical dilemma created by this type of research. Of course we all want to see advances in medical research. We want vaccines to prevent infection. We want better diagnoses and treatments for cancer. But at what human cost? This book elegantly explores the toll medical research has taken on some of its human subjects. Recounting some of the horror stories in the days prior to bioethics regulations, it highlights how harm can occur through sins of omission that are just as devastating as damage inflicted intentionally or by negligence. Henrietta never gave permission for her cells to be used. It was more than twenty-years before her family learned that her cells were still alive and growing, and that other people were making fortunes from these living offshoots of the cancer that killed her. Skloot examines the issues from all sides and the book gives a balanced journalistic view of the researchers and the industry’s parts of the story. However, she treats the family with particular compassion and sensitivity. It is through her eyes that we are able to really understand how different family members viewed what had happened to Henrietta, and, by extension, to them. And it is heartbreaking. From start to finish, this is a gripping story. And an important one. For anyone contemplating a career in the sciences, it’s a must read. 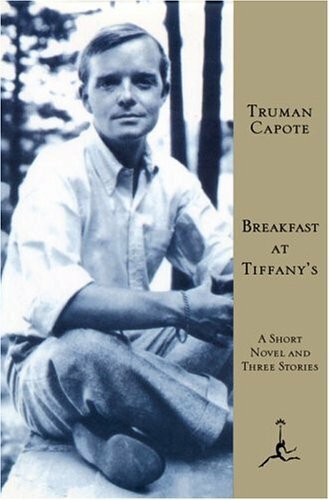 On a recent vacation, I set myself the goal of reading Breakfast at Tiffany’s by Truman Capote. It’s one of those classic stories that I should have read at some point in my life, but never did. I saw the movie many years ago, but remember being more impressed with Hepburn than with the actual movie and had a hard time remembering much of it. Breakfast at Tiffany’s is a poignant novella told by an anonymous writer looking back on a relationship/friendship of his youth. He was poor, honest, and earnest, living in his first New York City brownstone, and met a young woman whose memory would stay with him the rest of his life—Holly Golightly. She was a true independent, yet she survived in a rather parasitic fashion. She sought security and love, unfortunately confusing the two. As far as her relationship with the narrator was concerned, she was capable of a very generous, as long as it was temporary, friendship. The book is a rich character study, not only of Holly and the narrator, but of all the secondary characters that flit in and out of Holly’s sphere. The reader won’t envy Holly, she is a melancholy creature for all her gaiety, but you can’t help but admire her spark. You’ll end up hoping, along with the narrator, that she eventually did find what she sought. For my first contest, in celebration of Halloween, I decided to host a giveaway for Nevermore by Kelly Creagh. I borrowed my copy from the library, but I enjoyed it so much I decided to buy a copy to pass on. You can also check out my review. 2. Leave a comment with your email address so I can contact you if you’re the winner. 4. +1 entry for blogging or tweeting about the contest. The contest runs now through October 31st and is open to US entrants only. When I learned that another Louisville YA author had a debut book being released this year, I googled the name Kelly Creagh. Her upcoming book was titled Nevermore. The premise intrigued me: a paranormal teen romance that derived its creepy chills from the master of creepy chills—Edgar Allen Poe. I thought: what an awesome idea. I’ve always been a huge fan of Poe. "Cheerleader Isobel Lanley is horrified when she is paired with Varen Nethers for an English project, which is due- so unfair- on the day of the rival game. Cold and aloof, sardonic and sharp-tongued, Varen makes it clear he’d rather not have anything to do with her either. But when Isobel discovers strange writing in his journal, she can’t help but give this enigmatic boy with the piercing eyes another look." All right. So it sounds like— take a popular cheerleader add a romantic "dark" male hero and stir in some ghosts or something. Could Creagh take the promise of Poe-type horror and deliver in a teen romance? I had to find out. And I’m thrilled to say the answer is yes. Despite the stereotypical-seeming set up: pretty cheerleader-obnoxious football player-troubled goth boy triangle, the characters don’t come across as stereotypes. Isobel is a witty, strong, well-rounded character. She is considerate of others. She even continues to care about her obnoxious football player boyfriend after he proves himself a jerk who deserves to be dumped. (Not in a powerless I-can’t-get-over-the-jerk way, but in an empowered completely-over-him-but-he’s-still-a-human-being way.) Isobel comes across as real and as likeable. As does Varen. He’s aloof and sardonic, yes. But he’s also funny and earnest. And, he is also troubled. Beyond troubled. The difficulty arises because he wants Isobel in his world but knows he has to keep her out of it. Isobel and Varen work together on an English report on Edgar Allen Poe. Varen is a bit obsessed with Poe. Isobel is gradually pulled into Varen’s sphere and learns things about him that are...unsettling. Nightmarish. Like something out of Poe. Creagh made this work for me because of the way she made it work for Isobel. She didn’t plunk Isobel down into the midst of insanity that Isobel just accepts. Her very real, concrete world was taken over little by little. The line between the real world and this other world blurred until it disappeared. It was very creepy. Very Poe-like. And I am now a very big Kelly Creagh fan. Check back tomorrow for my very first giveaway – a copy of Nevermore in celebration of Halloween! Set in 1960's Jackson, Mississippi, the book is told primarily from the point of view of three women. Eugenia Phelan (Miss Skeeter) is a well-brought-up white woman in her early twenties who went off to Ole Miss to earn her Mrs. but graduated instead. She returns home to find things in her old hometown...unsettling. In large part this is due to the absence of the woman who used to be her family’s maid. Skeeter had been practically raised by Constantine, who has vanished seemingly without a trace. But Skeeter is upset by more than just this mysterious disappearance. She is beginning to find the company of her old friends stifling. She watches the way her one-time best friend Hilly treats the people around her and is appalled. Hilly is a queen bee/mean girl, but in the racially charged context of this book, her meanness is even more sinister. Skeeter finds she no longer wants to be like her old friends. Yet distancing herself from them leaves her socially isolated—which she finds increasingly uncomfortable. What options does a single girl of her age and social class have for making new friends or finding employment in Jackson? Without disgracing her family altogether? Her world starts to look very claustrophobic. The next POV character is Abilene, one of the older members of the group of domestic "help" followed in the book. She is educated and, like Skeeter, enjoys writing. However, if Skeeter’s opportunities for advancement are bleak, Abilene’s are nonexistent. Since the death of her only son, she has let a wall grow around her. Still, she is able to nurture her charge, the child of one of Skeeter’s old friends, with a pure and beautiful love that gives the reader a glimpse of why Skeeter was so devoted to Constantine. Minnie is the third main voice in the book, another one of the help, a woman of strength and generosity, as well as a whole lot of anger that causes her to be fired from job after job. These women’s worlds change when Skeeter decides to write a book telling the stories of Jackson’s maids– all she needs is for them to agree to let their voices be heard. It is an achingly brave undertaking. They have everything to lose, and don’t realistically expect to gain anything. Kathryn Stockett takes us inside closed minds and let's us see how bigotry tries to defend itself. It isn't easy to read about the uglier side of human nature, but this is a story that is beautifully told. I’m glad I finally moved it to the top of my pile. Have you read it yet? Since it’s Friday, I’m going out of the box. Here is a review of a book chosen seemingly at random: The Lady Matador’s Hotel by Cristina Garcia. I was driving somewhere one day listening to NPR and just happened to catch a book review. I’m never in my car when they review books. I don’t even remember any specifics of what the reviewer said, only that she loved The Lady Matador’s Hotel. I filed the information away in my head, but didn’t honestly think I’d ever read it. It sounded like an excellent book, but not really my cup of tea. But then it popped up on a list of new releases that I was skimming. Someone was really trying to get my attention. I decided it was time to broaden my horizons a bit. Every once in awhile, I like to read something that I-don’t-like-to-read. A thriller. A contemporary dysfunctional family story. Nonfiction. Books set in fictional Central American countries that are quasi-political but that ambitiously set out to say something meaningful about the human condition rather than just make a political statement. I think it’s important to vary my reading diet, just like it’s important to have lots of colors on my plate at dinnertime. So I closed my eyes to my huge pile of waiting historical fiction and YA books, and picked up this one. Here is how the jacket cover describes it: National Book Award finalist Cristina Garcia delivers a fierce and gorgeous novel about the intertwining lives of the denizens of a luxurious hotel in an unnamed Central American capital in the midst of political turmoil. The lives of six men and women converge over the course of one week. 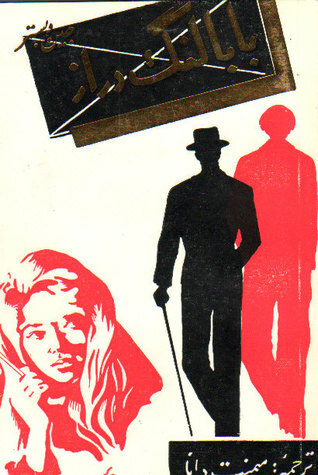 There is a Japanese-Mexican-American matadora in town for a bullfighting competition; an ex-guerilla now working as a waitress in the hotel coffee shop; a Korean manufacturer with an underage mistress ensconced in the honeymoon suite; an international adoption lawyer of German descent; a colonel who committed atrocities during his country's long civil war; and a Cuban poet who has come with his American wife to adopt a local infant. With each day, their lives become further entangled, resulting in the unexpected- the clash of histories and the pull of revenge and desire. The Lady Matador’s Hotel is Cristina Garcia at her best. Her shimmering imagination evokes a lush and dangerous world and her profound compassion manifests itself in characters that come alive on the page. Garcia’s magnificent orchestration of politics, the intimacies of daily life, and the frailty of human nature unfolds in a powerful, ambitious, often comic, and unforgettable tale. I include that summary because it’s the easiest way to give the flavor of what the book is about. It is a series of beautifully wrought character sketches, presenting these six people (and touching on their significant others) during a critical week in this fictional tension-filled world. The book relies much more on searching the characters’ backstories, motivations, and emotions than it does on plot. But it would be a mistake to imply that there is no plot movement. Each of these people has reached a point of personal crisis and things happen during the week to bring each crisis to a head. Some of the plot bits are interdependent. And yet, I didn’t exactly find the characters’ lives to be all that "entangled." They bumped into one another. There were a few business transactions. But the characters seemed very solitary and self-interested, except for the men lusting after the women (which is just another form of self-interest.) But I don’t say this as a negative. It was realistic in the setting, and I thought it impressive that the author managed to connect the stories as well as she did. I also thought it admirable the way the author presented the characters as allegorical figures: a disillusioned revolutionary, a free-spirit trapped by memories of her mother’s death, the sadistic military man who mourned the sons he’d driven away, etc. and yet, managed to make them not stereotypes, but real people with depth. And so, my conclusion is: this is a quick entertaining read. It’s beautifully written. It’s a bit odd from a plot standpoint but really, the plot isn’t the point. Read it to enter the lives of these not-quite-real-but-sadder-than-real-because-of-what-they-represent characters and enjoy the little visions of beauty and hope that shine through. 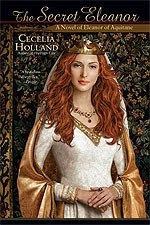 Great Maria by Cecelia Holland was re-released in August by Sourcebooks Landmark for a new crop (I won’t say generation because I’m not that old!) of historical fiction lovers to discover and enjoy. Hooray! I’m thrilled this book is coming around again. 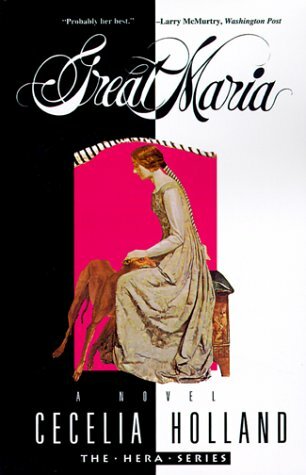 Nevertheless, I undertake this review with trepidation because Great Maria is one of my favorite books. Can I possibly do it justice? How do I explain why I love this novel so much? The first time I read this I was a fairly young thing, looking for some historical fiction at my local library. Although sucked into the medieval world, glued to the pages, and ultimately moved by the story, I have to admit the brutality bothered me. Maria is beaten by her husband. A beloved child dies and he refuses to speak of it even though she clearly needs to grieve with him. I had trouble "getting" their relationship. Well, younger me, guess what? It’s the middle ages! Despite finding some aspects of the relationship a bit off-putting, memories of the novel stayed with me over the years. When I came across it in a book store several years later, I bought it to re-read. This time I was completely floored. What an extraordinarily beautiful love story. There was brutality, yes, but also poignancy and tenderness. And a dry humor that made me laugh out loud. This couple was well-matched indeed. So what is this story about? Loosely (very loosely?) based on the Norman conquest of Sicily, Maria is the daughter and heiress of a local petty baron. Richard is a Norman knight in his employ– a mercenary. Richard is accompanied by a couple of his brothers, including his handsome, charming younger brother Roger. Maria has eyes for Roger, but ambitious Richard wants the baron’s castle and, being somewhat belligerent and threatening, he manages to convince the baron it would be a good idea to let him marry Maria. The baron lets Maria decide. At first, she says no. She doesn’t particularly like the brutish Richard. But Richard gives her a glimpse of his ambition. And Maria intuits enough to realize Richard has something Roger does not. The book tells the story of their life together, forging a kingdom and a marriage. What makes Great Maria so remarkable is the detail of a strong medieval woman’s life, how she uses her role in order to be a full partner to her ambitious husband. Generally she supports him but at times she opposes him – and sometimes she wins. Their marriage is full of give and take, all within the context of the grit, bloodshed, and political intrigue of their medieval world. Cecelia Holland is a masterfully subtle writer. The character development is so flawless that she doesn’t have to explain for the reader what a gesture might have meant– the gesture speaks for itself. A few well-chosen words pack an enormous emotional wallop. Their fleeting moments of happiness and playfulness are a precious gift in lives filled with turmoil and struggle and I felt like I was living it all right along with Maria. I love this book. I’ve read it three times. And I just might have to read it again. Prior to the release of my book, I had no clue there were so many bloggers who not only shared my passion for reading but who also got out there and told people about books they’d read! A year or so ago, I could honestly say I’d never read a book based on a blog recommendation. How quickly that’s changed. Inspired by these dedicated bloggers, I decided to take the plunge and start blogging myself. This decision was not made lightly. I considered the pros and cons and questioned my motivations. Does the world really need another book review blog? Does it need mine? Do I have time to invest in such an enormous undertaking? Isn’t this just a form of procrastination? Am I avoiding housework? No, No, Definitely not, and Most likely yes and Yes. Nevertheless, here I am anyway, so I guess I just need to get it out of my system. Here are my ground rules. 1. I’m not going to review books I didn’t like. I realize how subjective this is. I might point out some things I had problems with in a book I did like. But if you find that this blog is full of positive reviews and decide that invalidates my opinion because I never dislike a book– that’s not true. There are plenty of books I’d rather just not discuss. 2. This site will primarily feature historical fiction, YA fiction, and (surprise, surprise) YA historical fiction. But, don’t be surprised if random other books get thrown in for no apparent reason. Sometimes I like to read outside my box. 3. I hope to impose some structure on the site. I am currently envisioning historical fiction on Mondays, YA on Wednesdays and oldies on Thursdays, with other things worked in more randomly and occasional theme weeks. That’s the plan, but it’s subject to change depending on how well I can juggle this whole blogging adventure. 4. Giveaways/contests: I hope to work in a few. I haven’t quite decided on the rules for those yet. So that’s it for the setting the stage. Tomorrow I’ll post my first review! Here is a list of books that I've reviewed. Please let me know if any of the links don't work. Bernstein, Harry - The Invisible Wall. A Love Story That Broke Barriers. Cather, Willa - O Pioneers!